From November 30 to December 9, 2018, Salpointe's Theater Department invites you to join us for a special performance of Footloose. 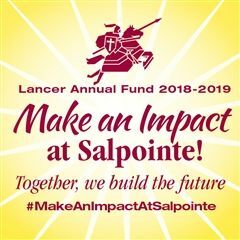 Kick off your Sunday shoes and enjoy an evening of music, dancing and laughter with Salpointe's talented performers. Please purchase your tickets on ShowTix4U.com. From November 30 to December 9, 2018, Salpointe's Theater Department invites you to join us for a special performance of Footloose. Kick off your Sunday shoes and enjoy an evening of music, dancing and laughter with Salpointe's talented performers. Please purchase your tickets on ShowTix4U.com. Tickets go on sale November 1. From November 30 to December 9, 2018, Salpointe's Theater Department invites you to join us for a special performance of Footloose. Please purchase your tickets on ShowTix4U.com.